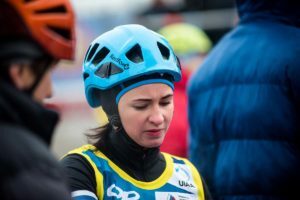 Russia’s Maria Tolokonina and Nikolai Kuzovlev became the first ever UIAA Ice Climbing World Combined Champions on 16 December winning the inaugural edition of the competition which ranks athletes based on their performances in both the speed and lead disciplines. The event – held from 14-16 December – attracted 27 athletes from ten countries and was held adjacent to the impressive Luzhniki Stadium, home to this year’s FIFA World Cup Final. The 2018-2019 UIAA Ice Climbing World Tour is partnered by Outdoor Research. Saturday’s action was confined to speed and lead qualifications. In speed the top eight qualified for Sunday’s final. Setting the fastest times were the rapid Valeriia Bogdan in 08.28 seconds and Nikita Glazyrin in a blink of an eye 06.04. The lead qualification defined the order athletes would attack Sunday’s Finals. Tolokonina was best performing female with Kuzovlev, Mohammadreza Safdarian and Anton Nemov all topping the men’s route. On Sunday, an intense day of competition in freezing temperatures, awaited the athletes. Bogdan again proved she was queen of the speed wall bettering her qualification best nearly half a second (07.66). Tolokonina finished second (08.71) and Maryam Filippova third (10.44). The three Russian athletes would battle it out for the overall crown in the afternoon’s lead competition. Here Tolokonina proved the standout performer winning a close contest with Bogdan with Iran’s Shabnam Asadi finishing third. Tolokonina, a multi-World Cup and World Championship winner, was deserving recipient of the first World Combined Championship crown. Bogdan and Filippova also made the podium with France’s Marion Thomas and Asadi finishing in the top five. Like Tolokonina, Nikolai Kuzovlev is a skilled, experienced and world-class ice climber who has the medals to prove it. He is the defending World Tour champion in speed. 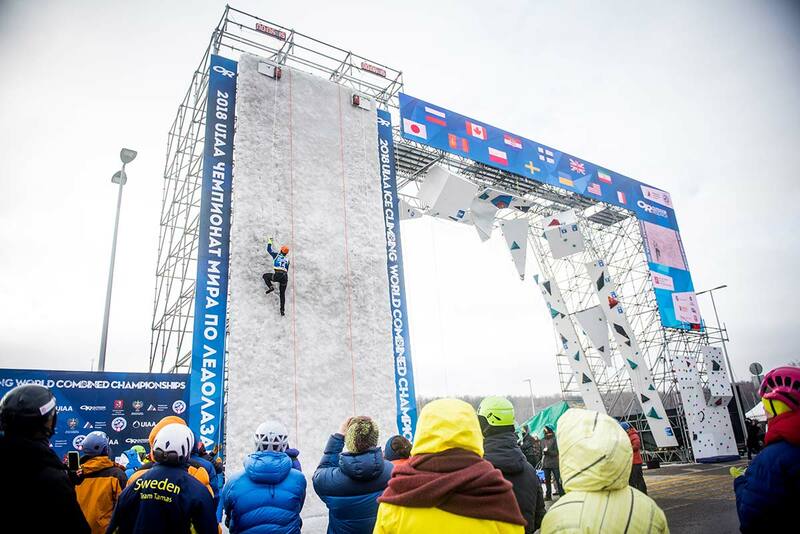 After a second place in the speed finals behind Glazyrin who bettered his already lightning qualification time recording a fastest climb of 05.51, Kuzovlev again topped the lead route – the only athlete to do so to take the title. Glazyrin, the event’s youngest competitor at 17 took silver – a real statement of his potential, and Safdarian of Iran claimed bronze. Anton Nemov, Russia, and Mohsen Rad Beheshti, also of Iran, made the top five. Russia also took the team title ahead of Iran and an excellent performance from Finland who took bronze thanks to the efforts of Enni Bertling and Pauli Salminen. “It was a great event. We would like to thank all of the organisers including the sport department of the city of Moscow; Outdoor Research as Title Sponsor for all their support across the entire UIAA Ice Climbing World Tour; and the local organising committee and their entire team,” explained UIAA Executive Board Member and Head of Competition Sports Thomas Kähr during the final prizegiving. Full details on the event in Moscow can be found here. 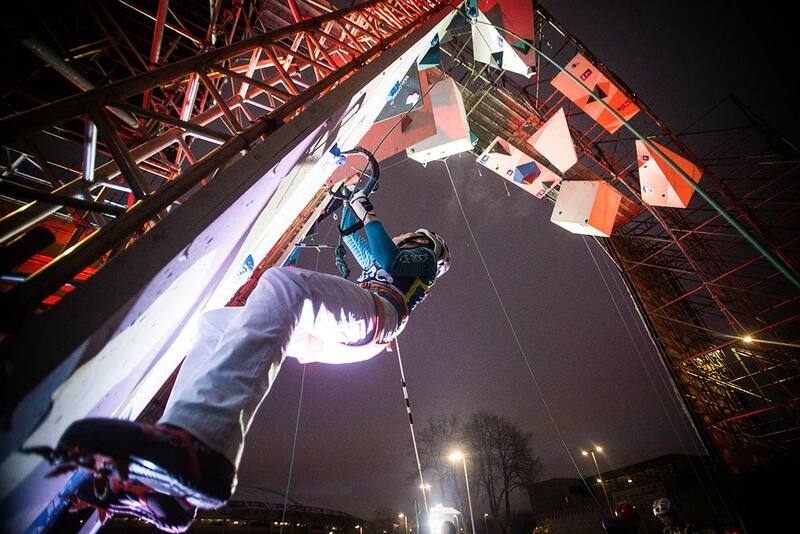 The next stop on the UIAA Ice Climbing World Tour is the first round of the World Cup Series in Cheongsong, South Korea on 11-13 January. Photos, copyright UIAA/Eugenia Aleekseva, from the event can be download here. Watch a replay of the livestream from the speed and lead finals.